Remembering the Green Party betrayal while they held power - why trust them again? We are in the midst of another full on election cycle. Eamonn Ryan, leader of the Green party, and former minister in the preceding government, was annoyed at not being one of the leaders involved in the TV debate. But let us not forget what happens with the little party in the coalition government. We can witness it in the performance of Labour in this government, but the previous government, lest we forget, was a Fianna Fail and green alliance, with the little party being the greens. Bertie Ahern appointed on the 14th of June, Eamon Ryan to the newly created portfolio, of Communications, Energy and Natural Resources. 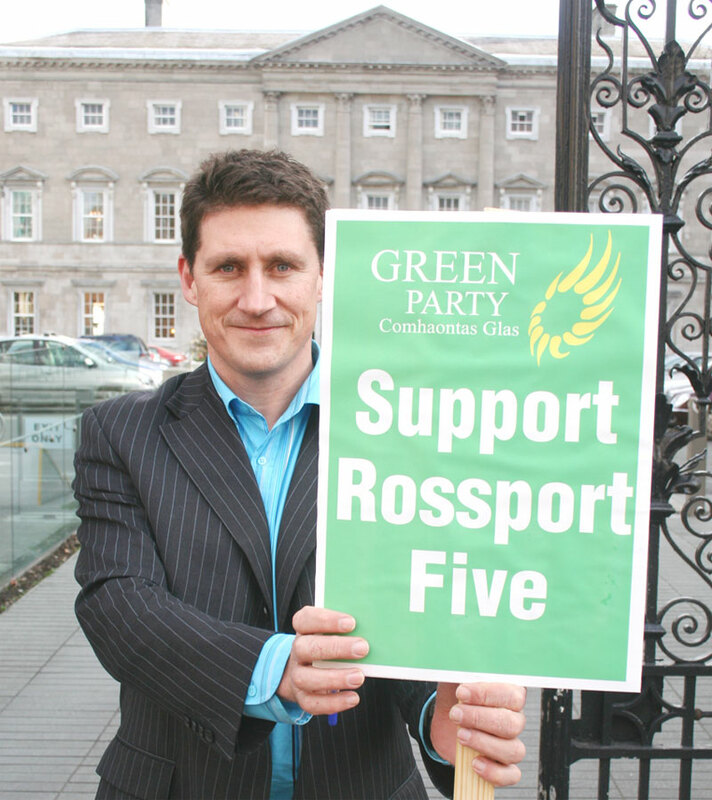 This was a big test for the greens who had aligned themselves with the Rossport campaign, and their leader, Trevor Sargent, at the time spoke at a Shell to Sea press conference and said that the Greens “supported an independent commission” as proposed by the campaign. The party were also aware of the great oil and gas giveaway, and said that it needed to be reviewed. Capitalism is making you fat. Capitalism is also destroying the environment. These two things are more closely connected than you might think. Not all growth is good. Certainly the growth of people’s waistlines and indexes of body fat have lead scientists and health professionals to warn of a global obesity epidemic. 65% of the world’s population now live in countries where being overweight kills more people than being underweight. Worldwide obesity has nearly doubled since 1980 and 1.4 billion adults over 20 are now overweight. Recently, a number of the UK’s celebrity TV chefs have launched “Fish Fight”, a campaign to address the rapidly increasing crisis of declining fish stocks that threaten the continued supply of fish for the dinner table. The campaign’s aims are worthy and laudable and the sincerity of the celebrity chefs involved is unquestionable. But as much as they understand food and the threat of the collapse of fish stocks, their limited understanding of the economic forces behind capitalism’s inability to sustainably manage limited natural resources guarantees that this well-intentioned campaign is ultimately doomed to failure. In recent years climate change has loomed large in the public imagination. Scientifically, there is little doubt that it is a real threat to the future of human civilisation. The greenhouse effect has been known about since the early 19th century - gases in the atmosphere such as carbon dioxide, methane and water vapour trap heat from the sun, causing the climate of the planet to heat up over time. Probably the most spectacular known example of this effect in action is on Venus.